Volunteer Life in Pictures #16: At all our events we encourage children to get involved and experience the joy of moving people to action. Some of our volunteers are children, 6, 7, 10 year old kids that want to make a difference. 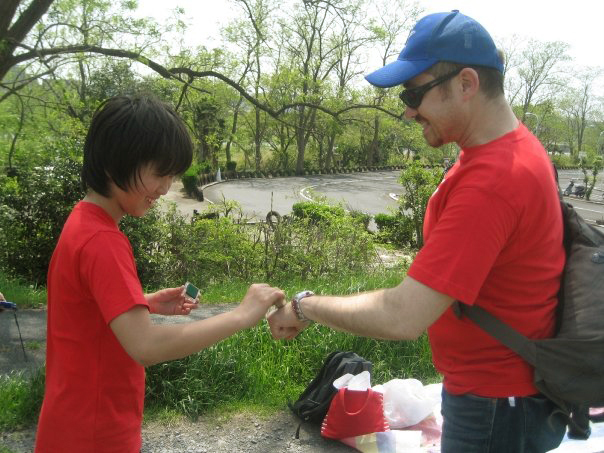 In this picture a 10 yr old boy stamps one of our walkathon walkers in Tokyo, Japan. That's a pretty cool kid.